In a recent interview televised by NRT, the Kurdistan Regional Government’s (KRG) Deputy Prime Minister Qubad Talabani listed four items as main issues facing his government: Being at war with Daesh (IS), Financial Crisis, Internally Displaced People (IDP), and disunity among political parties. What he failed to acknowledge is, of course, the leadership crisis. Throughout the interview, he appeared desperate to convince the viewers – constantly resorting to rhetoric and playing all innocent – as though his party and government hadn’t caused these crises in the first place. Fortunately, however, even ordinary people could see right through him, let alone sense that he was naïve about many domestic and regional political issues and conflicts. The current generation of politicians have assumed positions of power, based not on merit but on mere tribal ties and family roots; hence crises inevitably occur. Worse still, they too have inherited previous generations’ terrible habits; brushing the problems under the carpet, play the blame game and treating the masses like idiots. When Daesh carved out its Islamic State, driving the Iraqi army out of Mosul, the complacent KRG leaders didn’t deem them as threat, failed to take the fight to them, but instead waited weeks until they regrouped and attacked the Kurdistan Region. Additionally, despite their empty promises over the years, the KRG leadership has failed to unite the Peshmerga forces and equip them properly – their loyalties still lie with party leaders and each group operates according to its party leaders’ interests. Furthermore, corrupt politicians have registered their entire clan as Peshmergas for the salaries, with documents recently indicating that 436,000 people were receiving salaries the from Ministry of Peshmerga, although currently fewer than 100,000 Peshmergas are actually available to defend the region – mostly poorly equipped and lacking appropriate combat training, while there are no well-equipped military hospitals to treat the casualties of war. The disunity within and between the Kurdish political parties isn’t new; in fact it goes back to the beginning of 1958 when Mullah Mustafa Barzani returned from the Soviet Union. Furthermore, Mustafa Barzani’s continuous tribal campaign against the intelligentsia resulted in Ibrahim Ahmed and Jalal Talabani, along with their supporters, being forced into exile – giving Barzani undisputed control over the Kurdistan Democratic Party (KDP). Today, nearly all of the political parties have factions within them; some are more serious, others are more laid back. For example, Nechirvan Barzani’s faction within the KDP poses little threat to the KDP’s dictatorial structure at the top which has been controlled by his grandfather and uncle since 1946. However, the factions within the Patriotic Union of Kurdistan (PUK), whose general secretary has been Jalal Talabani since 1975, have proved more serious with far reaching consequences. In 2008, for example, Nawshirwan Mustafa’s reformist faction decided to leave the PUK and establish the Gorran party – needless to say, Gorran itself also suffers from the divisive faction disease. Since Talabani fell ill in 2012, his wife, Hero Ibrahim Ahmed, has taken over the party’s resources, disregarding internal rules and party’s structure. This has prompted another serious faction to come into existence, led by deputy general secretary Barham Salih. Furthermore, the KDP’s connection with Turkey and the PUK’s connection with Iran are the main causes of disunity in the region. If Qubad is seriously concerned about disunity, perhaps he should start from home. Unashamedly, Qubad referred to putting an end to the rhetoric and mismanagement of his government, promising to promote accountability and transparency, but when asked about the 1 million dollars being allocated for his advisors, he became evasive, attacking those publishing the evidence [indirectly he accused Rudaw Media Corporation]. Additionally, he dodged another question about the missing 46 million dollars allocated to build Anfal Museum. He seemed troubled by the widespread criticism of his government on social media, particularly by members of parliament who are posting corruption files, failing to note that the fact that the reason MPs are taking their plight to social media is because his government is unfit for purpose and cannot respond to these MPs through appropriate channels followed by appropriate actions. Why has hardly anyone ever been brought to justice for their involvement in corruption? In a surprising comment, Qubad Talabani said that they might have not wanted to tell everything to Baghdad previously and that’s why it is not clear how the Committee of Gas and Oil has been spending money. Then he harshly criticized Baghdad for not committing to the agreement they have made. But isn’t the KRG also responsible for the failures of this agreement? Of course, yes, as Talabani said, we are to believe it’s because they haven’t wanted to share information with Baghdad. One of the habits of the KRG officials when they are interviewed is to always say there’s corruption and a very bad management system. As Qubad said, there’s a very big problem of management in the KRG. But the problem will always remained unresolved while he is not implementing any reforms. Regarding oil policies, Qubad declared himself a great supporter of KRG policies whereas, in his PUK media, every single PUK official is attacking the ‘oil policies of Nechirvan Barzani’. This double-standard does not serve our cause: why whip up the masses against the oil policies and Turkey-KRG energy deals through your media, but in practice support every single KRG oil policy of the administration? He totally denied that the oil policies have failed, but also agreed that the KRG has been unable to create an oil and gas boom for all the people. It is really a tragedy that the deputy PM can say this because the oil policies are only successful if they serve the nation, not the neo-tribalism of Talabani and Barzani families. The oil has meant a boom only for the oil lords: the top KDP and PUK officials. The people of Kurdistan do not want any policies that do not bring them good luck. The KRG has been undergoing severe financial crises for a year. Qubad forgot that KRG debts have reached 17 billion dollars. State employees are not getting their monthly salaries (we recently wrote a special article on the KRG economy). So surprisingly, and unashamedly, he said they have been able to manage paying employees’ wages by “begging”. He clearly degrades the dignity of our nation. He should tell us where they have begged for us. Is it their duty to beg or work? In the meantime, securing loans from the oil companies, their own companies and Turkey doesn’t mean they have been successful in resolving financial crises. As Mala Yasin, chief of Dealers of Kurdistan, has said, due to the financial crises more than 300,000 KRG workers have been made redundant. In the past three years, thousands of students have graduated from universities and yet you can hardly find one who might have got a job. Even though there’s no statistics to show the real unemployment rate, by having just a few conversations with the youth in the streets one can easily realize how high it is in the Kurdistan region. Qubad Talabani believes that one of the most serious Iraqi problems is the culture of centralization in Iraq’s political system. But, when asked about the KR Presidency, he did not give an answer – although this is one of the most serious problems for the KRG, due to the ambition of President Masoud Barzani for a centralised presidential system. But let’s face another problem in KRG; we always blame Baghdad for centralization in the administration, but have we been able to achieve a decentralized system in the KRG? Of course not, so we cannot complain about something we are strengthening here in our own home. The local administrations in the KRG do not have real power. In the past few months, the KDP and PUK have shown they are not ready to renew the administrations; even though they have agreed to a broad-based government in the KRG, the participation of Gorran, Komall and Yekgritu in the central government has not happened in the local administrations and other institutions in the KRG. Almost all KRG institutions and local governments remain controlled by the KDP and PUK. Qubad Talabani complains about the lack of coordination between the KRG officials, the parliament and the Kurdish representatives the in Iraqi parliament and government in Baghdad. But was he not Head of the Department of Coordination & Follow Up in the last KRG cabinet? What was he doing? He definitely didn’t do anything special. Qubad was inaugurated as the head of the department in the last cabinet solely to be trained for a higher position in this current cabinet. Were it not for his parents, he would never have been able to become even the deputy of a minister, let alone of the prime minister; he proudly says that he was asked by the politburo to carry this responsibility whereas all people of Kurdistan know that he was given this chance because he is son of Jalal Talabani. He benefits from the disunity within his party, and now he asks for unity among all the Kurdish political parties. Qader Hama Jan Aziz, a PUK politburo member, was supposed to become the deputy prime minister but eventually he was not accepted due to the divisions within the PUK, and the faction of Hero Ibrahim Ahmed, Qubad’s mother, insisted that Qubad should be the deputy PM. Another PUK leader, Mahmoud Sangawi, stated in a recent interview with NRTV that he accepted Qubad as the deputy because he is son of Talabani. 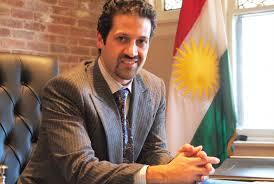 Qubad Talabani says he has been working in the KRG since the 2000s when he became the KRG representative in the USA. But he forgot to mention that he only got that position because of his father. Otherwise he might never have got involved in Kurdish politics since he was so busy watching Manchester United matches and leading a very luxurious life in the lovely UK. There are hundreds who are more qualified and capable than Qubad Talabani, but they have never been given a chance to enjoy even their basic rights, let alone any privileges. If we’d had a real leadership in the KRG, we would have already solved all the major problems. Howver, since our leadership has proved incapable of providing democratic, just, transparent and accountable governance, the KRG is experiencing very bad days that could eventually turn into civil unrest. Kurds must learn from patriot American citizens how much they care about and protect their country all together in time of crisis. I would like to share an experience of mine with all readers in KT. I remember I was a salesperson working in a Persian Rug store and I had nice American customer. After spending a brief moment with him he made up his mind and finally chose a rug but when he looked at the label in the back, he changed his mind all of a sudden. At that time, the US was about to liberate Iraq and French was not cooperative enough on war on terrorism. The client was not a racist. He was American patriot. When I asked him for the reason he would look for another one, he said he was voicing his objection to French Government by not purchasing made-in-French products. 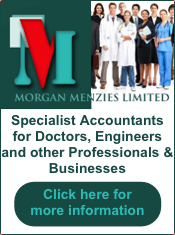 There are numerous other ample examples. From Neighbor Watch to cooperating with local law-enforcement agencies, from personal donations to displaying US national flag at homes and maintain environment clean, patriotism can be seen in every corner of this country. Kurdish-American citizens in US see my point more clearly. How many Kurds have displayed Kurdistan’s National Flag at their businesses or residences. How Kurds are going to better prove themselves. Kurds must all together defeat ISIS and play their role in the success of a healthy and wealthy prosperous Kurdistan in all aspects. Remember its your country, too. 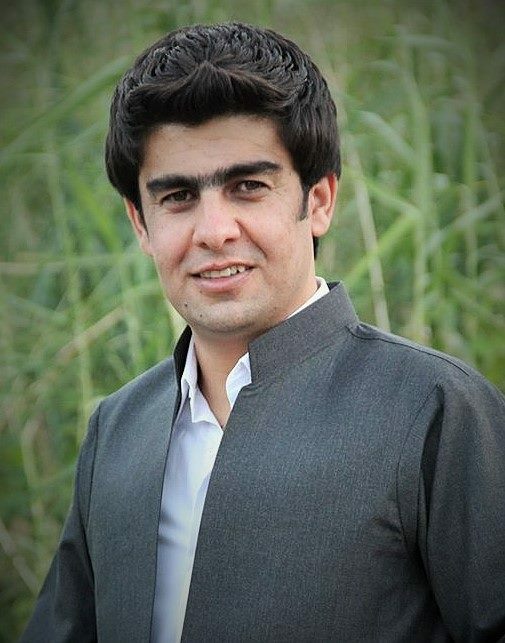 Kurd must all together defeat dynasty formation , passing power to children , nepotism and corruption . Unfortunately , this is nit achievable by peaceful means but will need a revolution on Talabani and Barzani families with their associate to bring them to justice !